A stunning double biography that lifts the veil on the unconventional marriage of modernist pioneers John and Sunday Reed, and their relationships with some of Australia’s most celebrated artists and writers. Meeting in 1930, they shared a passion for art, literature, nature and innovation. John came from an affluent grazier family in Tasmania, reading law at Cambridge and travelling extensively before he settled in Melbourne to work as a solicitor. Sunday was an heiress, born into the Baillieu dynasty. After a disastrous first marriage and expatriate life in England and France she returned home, her encounter with John marking the beginning of a new bohemian existence. Rejecting their advantaged social backgrounds, the Reeds purchased Heide in 1934 and established an alternative and self-sufficient lifestyle. They opened their home to an experimental artistic, literary and musical milieu, attracting people with similarly libertarian attitudes and a desire to instigate cultural change. Heide became a gathering point for avant-garde figures such as Sam Atyeo, Moya Dyring, Sidney Nolan, Albert Tucker, Joy Hester, Max Harris, Arthur Boyd, John Perceval, Charles Blackman, Mirka Mora and Mike Brown. Together with the Reeds, they paved the way for a new creative landscape. 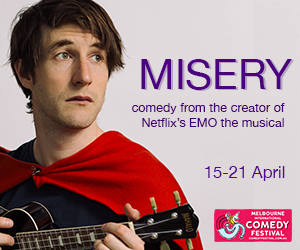 It is a story of rebellion against their privileged backgrounds and of a bohemian existence marked by extraordinary achievements, intense heartbreak and enduring love, affecting all those who crossed the threshold into Heide, and altering the course of art in Australia. 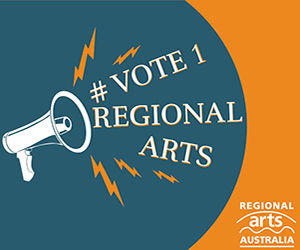 Lesley Harding and Kendrah Morgan are curators at Heide Museum of Modern Art, Melbourne. They co-authored Sunday’s Kitchen (2010) and Sunday’s Garden (2012). 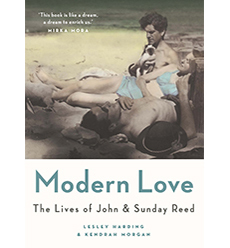 Modern Love: The Lives of John and Sunday Reed is a co-publication from MUP’s Miegunyah Press, Heide Museum of Modern Art and the State Library of Victoria. It accompanies the exhibition of the same name, on at Heide Museum of Modern Art until 10th April 2016.